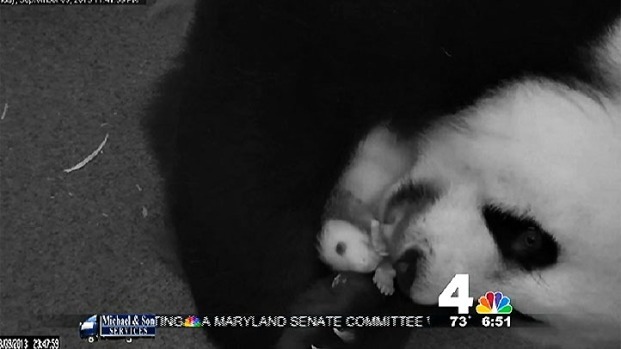 The National Zoo performed another full exam on its growing panda cub Thursday, and deemed her healthy, "wiggly and squirmy," keepers said. 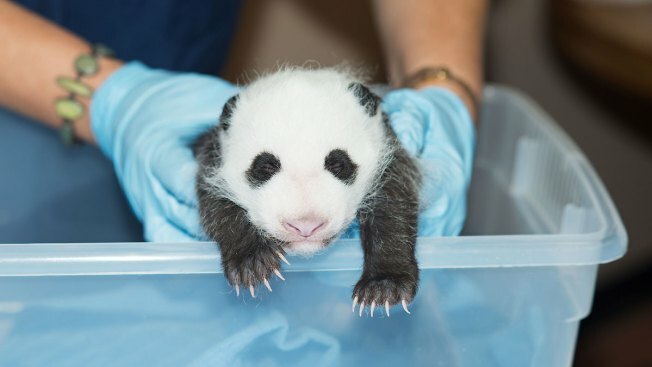 The cub has grown by more than a pound since her first comprehensive exam last week, and now weighs 3.07 pounds and is more than 14 inches long. On Sept. 16, she weighed slightly less than two pounds, a big jump from the 4.8 ounces she weighed at her preliminary health check two days after after her birth. Vets say her heart and lungs sound healthy. 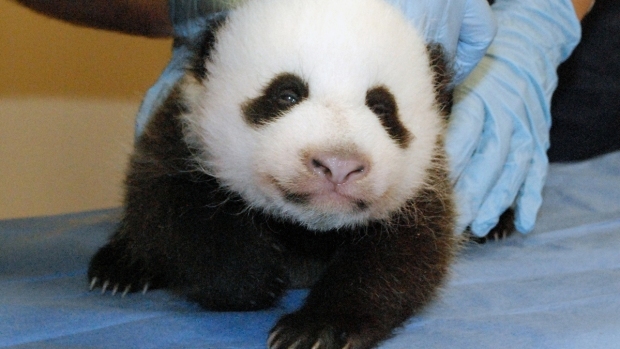 The National Zoo's female giant panda, Mei Xiang, was captured on video grooming her tiny cub as it squirmed. At nearly five weeks old, the cub is very active and is trying to crawl -- but she's not quite able to support her own weight yet. Her eyes haven't opened yet, but should in a few more weeks. Protective mama Mei Xiang was happy to see her little one when she returned to the den and immediately picked up her cub and started grooming her.